Blessed with undisputed natural assets combined with advantages nurtured over the centuries, Château Montrose has one of the region’s most privileged winegrowing terroirs. The 95-hectares (234-acres) vineyard surrounds the château, the winery and the outbuildings in a single continuous sweep, an exceptional and historically very rare feature. As well as making the vineyard easier to work, this unity means that it can be treated as a single entity, providing ideal conditions for efficient organisation and for monitoring the condition of each parcel. The Montrose terroir corresponds to what geologists call “elite cores”. 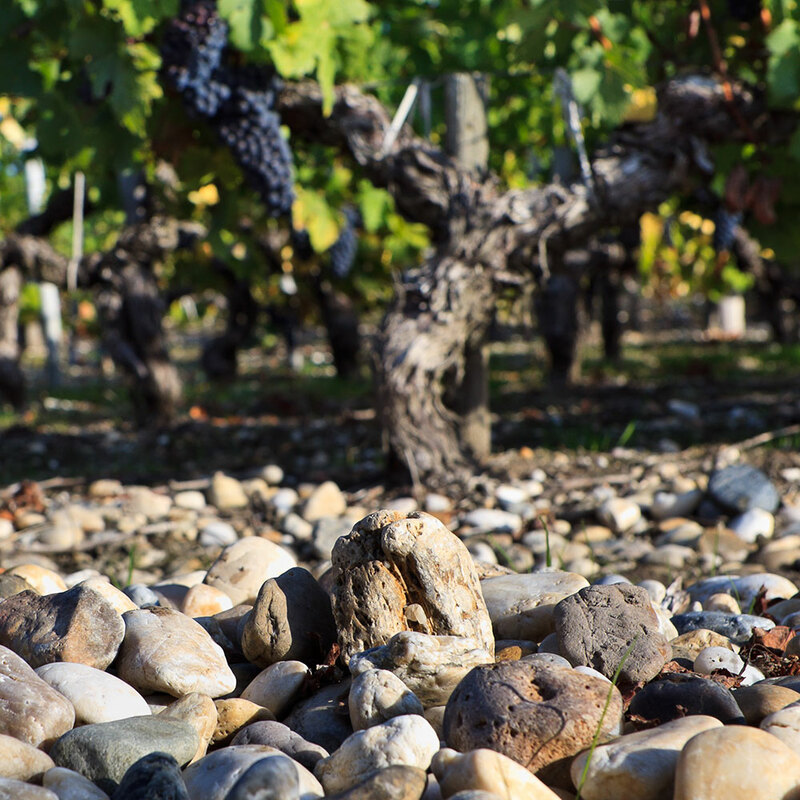 Over millions of years, a complex process of geological layering resulted in the creation of outcrops, ideal for making fine wines and ensuring natural drainage towards the estuary. The soil on these terraces consists of gravel mixed with sand on the surface over a clay-rich subsoil in which natural reserves form at depth, providing the vines with the water they need. At Château Montrose, the largest parcel is two hectares (five acres), the smallest only a few hundred square metres, but each has its own personality, its own particular soil or subsoil, and vines whose age, yield, variety or rootstock are different from those of its neighbour. In the end it is the wine itself which, in its own way, brings this amazing patchwork together, since it is both the result and the synthesis of each micro-terroir. « Nous sommes des passeurs, nous sommes là pour révéler un terroir, l’accompagner et le respecter ».